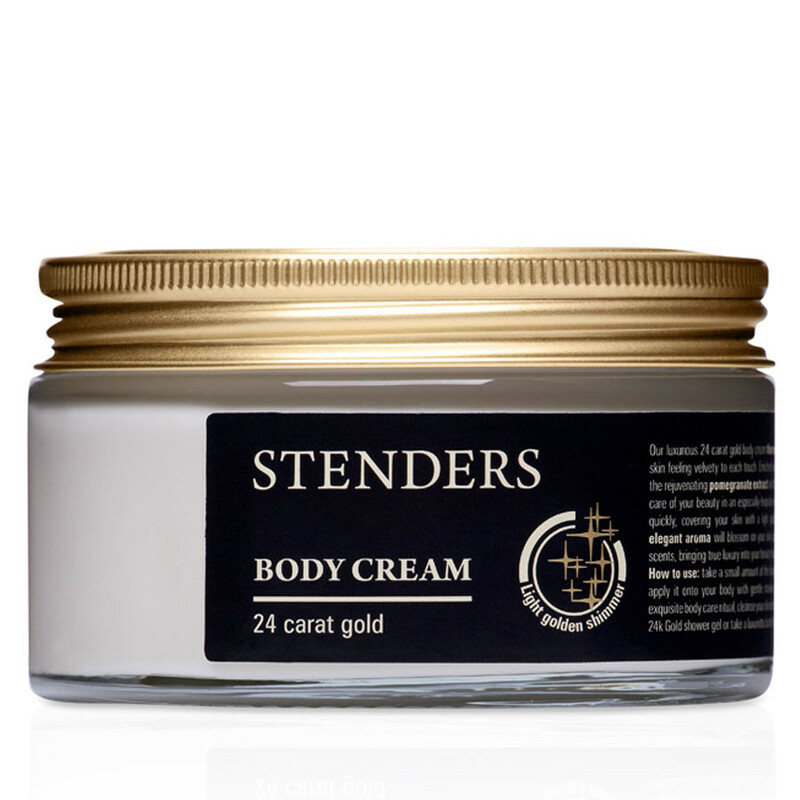 Our luxurious 24 carat Gold body cream thoroughly softens, leaving your skin feeling velvety to each touch. 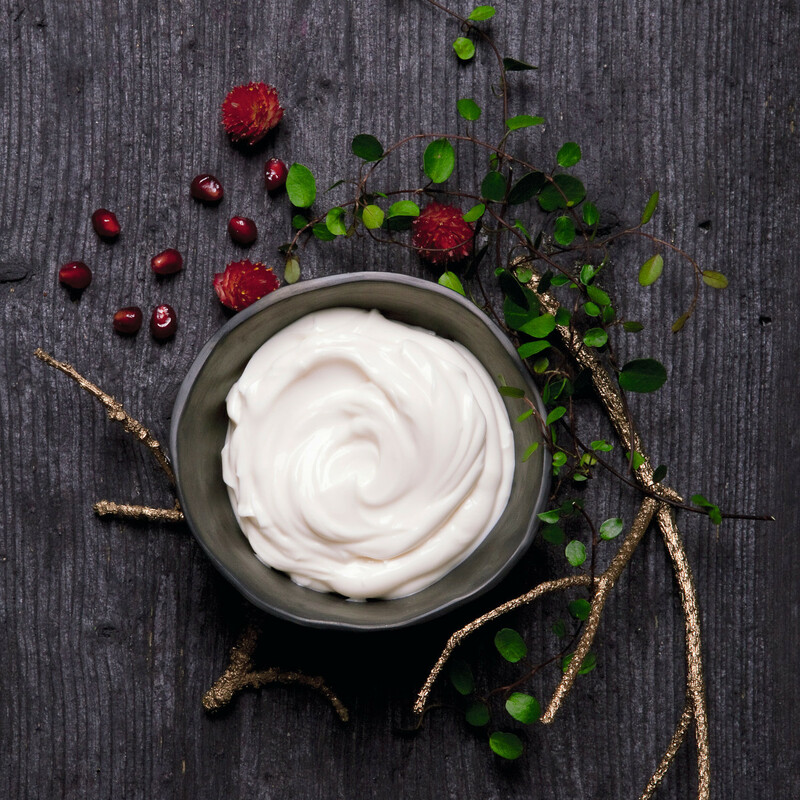 Enriched with 24 carat colloidal gold, the rejuvenating pomegranate extract and the valuable argan oil to take care of your beauty in an especially exquisite way. 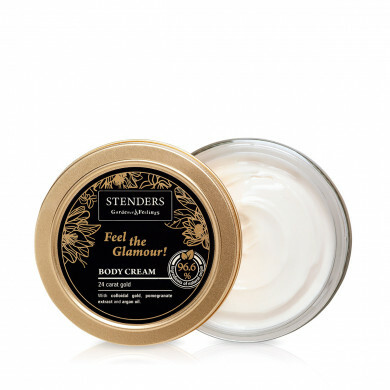 The cream absorbs very quickly, covering your skin with a light golden shimmer. Moreover, the elegant aroma will blossom on your skin just like a bouquet of delicate scents, bringing true luxury into your beauty ritual. 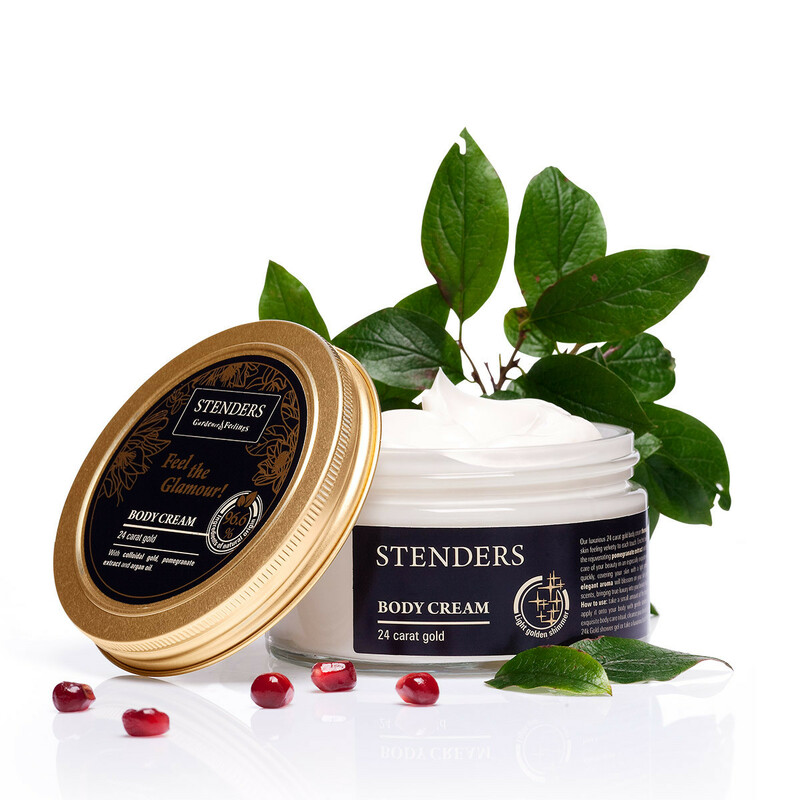 Take a small amount of the body cream into your palms and apply it onto your body with gentle strokes. 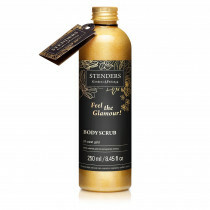 For the perfection of your exquisite body care ritual, cleanse your skin beforehand with our glimmering 24k Gold shower gel or take a luxurious bath filled with 24k Gold bath elixir.